At Mt. Zion our Bible Study curriculum is designed with all age groups in mind. Each week, everyone in Sunday School will be studying the same Biblical concepts in their classes either in Explore the Bible or Bible Studies For Life. 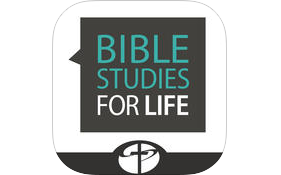 Our Sunday School curriculums, Explore the Bible and Bible Studies for Life, help get important conversations started. Whether the conversations occur in the home, at work, or in a coffee shop, our curriculum helps us have them with each other and others. As we learn together about God, we grow together.